You know it’s important to eat healthy without sacrificing flavor, but you also don’t have all day to prepare a meal. 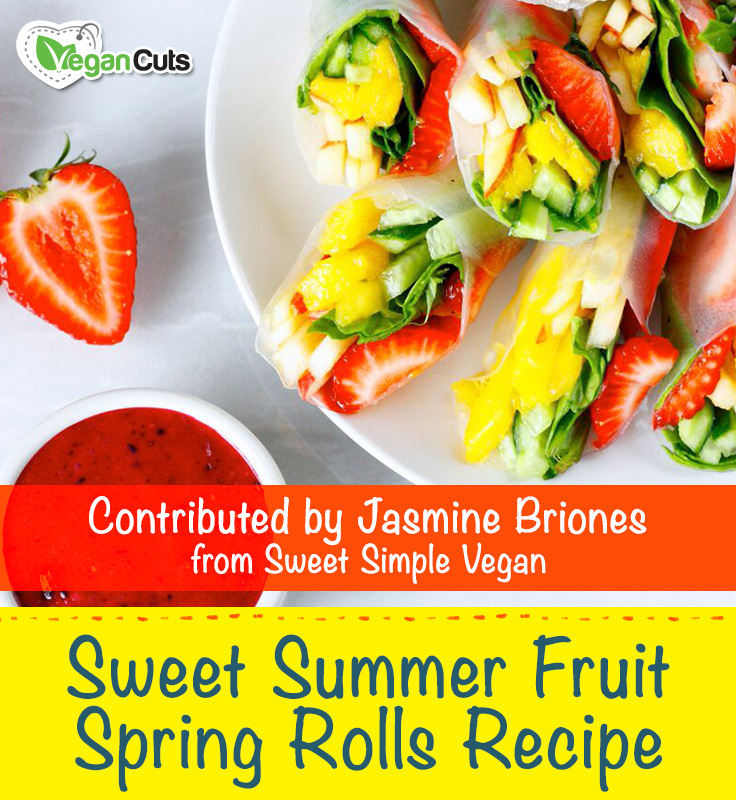 That’s why we teamed up with Jasmine from Sweet Simple Vegan to bring you this simple Sweet Summer Fruit Spring Roll recipe. Using only a handful of whole food ingredients, she whipped up this summer treat for you to enjoy! Slice the ingredients into long and thin strips, at about the same length for uniformity if possible. Remove the rice paper from the packaging. Immerse the paper into a bowl of warm water for 8-10 seconds. Remove and place on dry plate or cutting board. 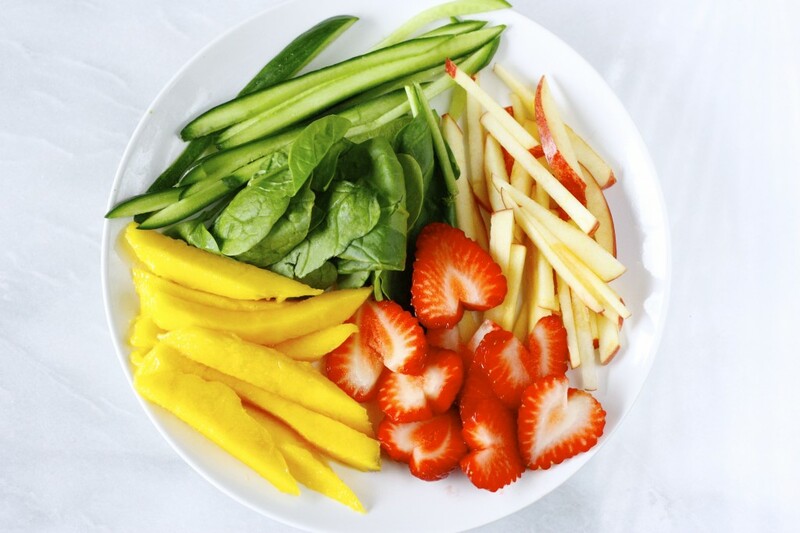 Fill your rolls with the strawberries, then spinach, and then the remaining ingredients. Try not to overstuff, as it will be more difficult to roll. Once you roll your first summer roll, you will be able to gauge how much or how little filling you will need. When rolling it up, think mini burrito! The end of the roll will seal on its own. Slice the rolls in half (if desired) and serve with dipping sauce. Jasmine Briones is the creator of the Sweet Simple Vegan. She is currently a Nutritional Science student in Los Angeles sharing her passion for health by living a life dedicated to promoting fitness and nutrition through sweet and simple vegan recipes. These are beautiful! 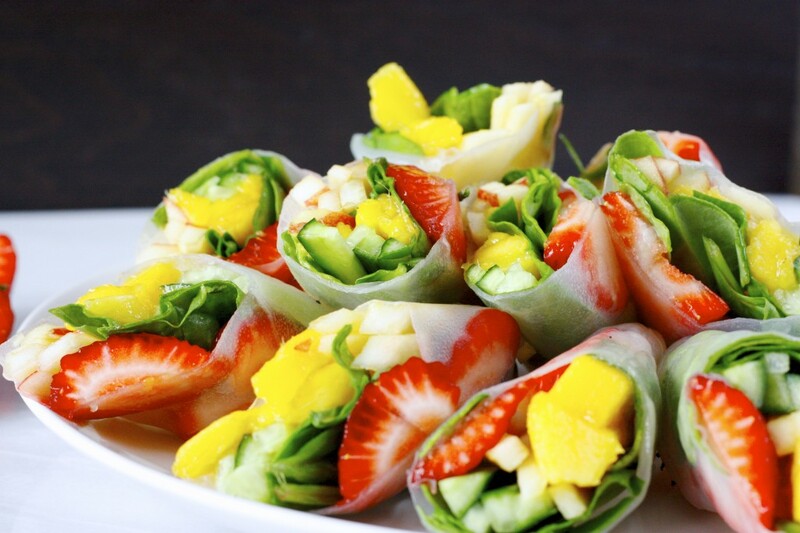 I would never have thought of using fruit in spring rolls. About the sauce: this is the first I’ve ever heard of pitaya. I looked it up, and it seems it can be either dragon fruit (which I do know) or a sour fruit from the Americas (which I don’t). Which one does the recipe call for? What could we substitute for pitaya? It’s not available where I shop. I just checked with Jasmine and she says that raspberries would be a great substitution.